ANAHEIM, Calif. (Feb. 5, 2019) – Exhibiting its latest developments in medical materials capabilities at Medical Design & Manufacturing (MD&M) West, today through Feb. 7 at the Anaheim Convention Center, ProAmpac, a global leader in flexible packaging, invites participants to explore the company’s approach to collaborative innovation. 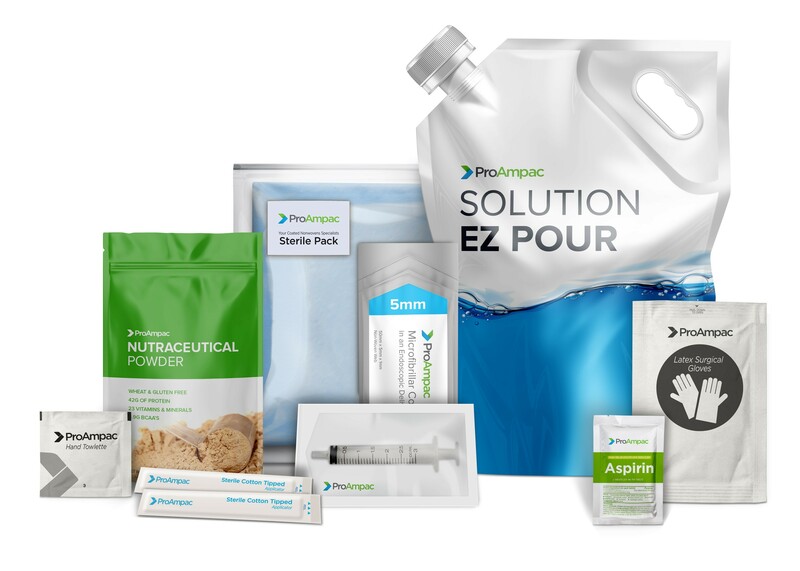 “We invite the medical community to visit Booth 1362 to learn more about how ProAmpac can meet short- and long-run medical packaging needs for standard and custom product solutions that offer value-added features and product offerings,” said Maria Halford, vice president of global marketing for ProAmpac. PRO-PEEL® Medical Our latest innovation in peelable medical film, offers a smooth, consistent and clean peel from itself, other polyethylene-based sealants, uncoated Tyvek®, and selected uncoated medical grade papers with a bright white seal area indicator when peeled to help identify seal integrity of the package. Chevron Pouches Pre-made Chevron Pouches provide consistent seal/peel strengths in the 1.5lb. – 2.0lb./inch range and can be laminated to most flexible materials, including: Polyester, Nylon, Aluminum Foil, Paper. Drug delivery ProAmpac is the North American market leader in blow-fill-seal (BFS) extrusion and lamination—currently providing form-fill-seal overwraps, pre-made pouches, as well as the PRO FlexiPURE® family of films. Our drug delivery packaging includes inhalation, liquid and solid oral-dose, injectable, topical/transdermal, and transmucosal applications. Medical device Our low-extractable barrier lamination and adhesive and extrusion capabilities are used for peelable and non-peelable high-barrier foil and non-foil packaging systems. ProAmpac technologies are found in wipes, syringes, and medical device barrier applications. These include enteral feeding, wound care, casting tape, bone cement, collagen hemostat, orthopedic implants, bone and tissue grafts, electrodes, auto injectors and drug-eluting stents. Over-the-counter ProAmpac provides flexible packaging solutions for leading over-the-counter pharmaceuticals: poly-coated one-side paper and paper/poly/foil/poly structures for single-dose packaging. Child-Resistant Flexible Packaging ProAmpac’s Child-Resistant Reclosable Easy Open (CRREO) solutions are patented engineered designs used worldwide in consumer, agricultural, pharmaceutical and medical applications. 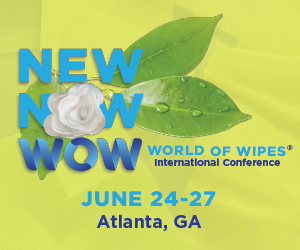 PRO-BARRIER® Nonwovens ProAmpac is a leader in extrusion coating and extrusion laminating, as well as printing of nonwovens for use as surgical drapes and gowns, patient warming and hypothermia prevention. ProAmpac’s multi-coextrusion lines produce coated nonwovens that are soft and drapable, yet pass stringent barrier requirements regarding blood and blood-borne pathogens. ProAmpac is a leading global flexible packaging company with a comprehensive product offering unparalleled in the industry. We provide creative packaging solutions, industry-leading customer service and award-winning innovation to a diverse global marketplace. We are guided in our work by four core values that are the basis for our success: Integrity, Intensity, Innovation, and Involvement. Cincinnati-based ProAmpac is owned by Pritzker Group Private Capital along with management and co-investors. For more information, visit ProAmpac.com.